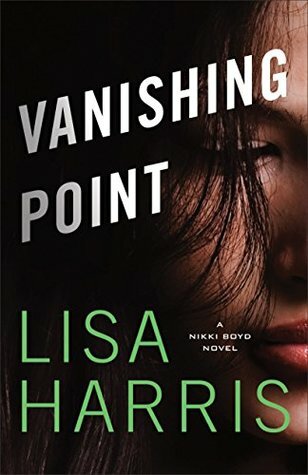 Vanishing Point: Nikki Boyd Files Book #4 by Lisa Harris has a publication date of November 7th, 2017 by Fleming H Revell Company and is a romantic suspense novel. Synopsis: During Garrett Addison’s first week on the job as a criminal investigator for the Tennessee Bureau of Investigation, his team is called out to a murder scene of a young girl. She’s the third victim in a string of disappearances with one thing in common–a Polaroid photo of each victim left behind at the crime scene.The FBI is pulled into the case to help, and Garrett finds himself working with Special Agent Jordan Lambert, the woman he once loved. When yet another girl dies–number six–Garrett blames himself and believes he doesn’t have what it takes to be an agent. What he’ll discover is that, while he may be done with the killer, the killer is not done with him–or Jordan. Bestselling and award-winning author Lisa Harris unveils an unforgettable story of a case that has haunted the public and law enforcement for more than a decade. Fans of the Nikki Boyd Files will thrill to finally discover what actually happened to Nikki’s sister, Sarah. New readers will become instant fans after devouring this chilling tale.